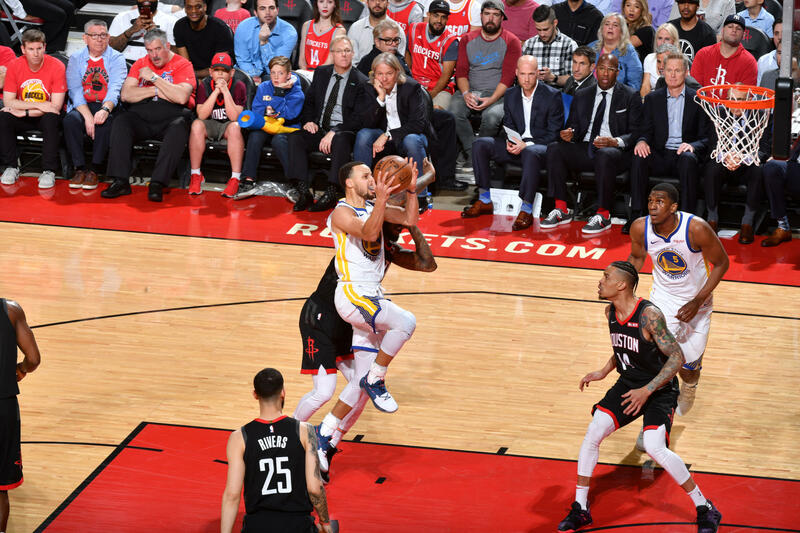 Let’s say you’re put in a position to produce the trailer for the inevitable 2019 Playoffs Warriors-Rockets clash. You have about two minutes and a half of material to hype it up. What do you show? Let’s go over the list, starting with the obvious: the burden of James Harden. A quick flashback to 2015, Game 5 of the Western Conference Finals. Rockets vs Warriors. Harden is in iso mode, dribbling many times before making a move. He’s glitching. He’s dog tired. Tired of carrying his team. Tired of Dwight Howard. He turns over the ball 13 (!!!) times, a playoff record. The Warriors advance to the NBA Finals, their first of many. The Rockets’ hearts were crushed. The first of many heartbreaks. Warriors: 4, Rockets: 1. “I’m 25 years old. I’m all right,” Harden said then. 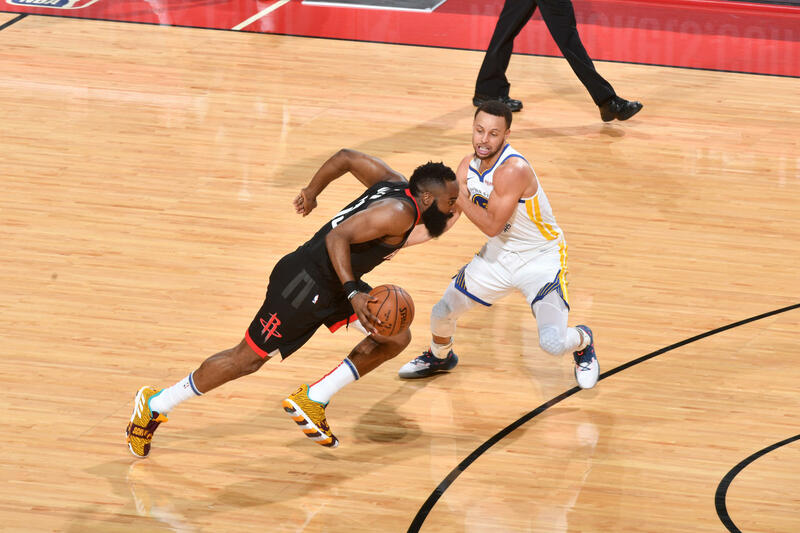 Next year, in the first round, Rockets faced the Warriors. Again. Another five games of Harden against the world. Another 4-1 loss. He was 26 years old. Still alright. The year after that, yet another heartbreak, this time against the San Antonio Spurs. Remember the game-winning block by Manu Ginobili? Remember the look on Harden’s face? Emptiness. The beard can’t hide the burden. Flash forward to 2018, Game 7 of the Western Conference Finals. Rockets vs Warriors. Again. Still. Then and now. Harden is fighting for his life. He gets screens from his new friends, but the burden is his. No Chris Paul. No Dwight (thank god). No chance. Not when you miss 37 (!!!) three-point attempts, a playoff record. Let’s say there’s 30 seconds of that, of Harden being hurt. And defeated. Still young, yes, but hurt. Then a minute of the Rockets in various moments of distress, losing to the powerful Warriors. Paul is limping with a leg injury. Mike D’Antoni, holding a clipboard at the bench, is staring blankly into the abyss. While Steph Curry is flashing his golden smile. Klay Thompson is stonefaced. Draymond Green and DeMarcus Cousins out-snarling each other. Kevin Durant mad at yet another reporter. Then a final minute of the Rockets fighting back. The Harden game-winner in January. Paul hitting a three-pointer over Cousins. Lobs to Clint Capela. Faried intense. Harden flailing as if he was shot by Curry in his beard. This is where the Rockets and Warriors are at. After many heated battles and petty back-and-forth, the rivalry has reached levels of Bret Hart versus Shawn Michaels, Avengers versus Thanos, Russell Westbrook versus rims. Warriors fans will say: it’s not a rivalry if it’s one-sided. And they’re right (Warriors fans are never wrong). But the interesting thing about Rockets and Warriors is history. They go way back. Quick, name a team you’d want to see in a seven-game series against Golden State in this year’s playoffs. The Bucks? Too soon. The Raptors? Too new. The Celtics? Too volatile. The Nuggets? Nope. It’s the Rockets. Always has been. It’s no secret that the Rockets are obsessed with beating the Warriors. 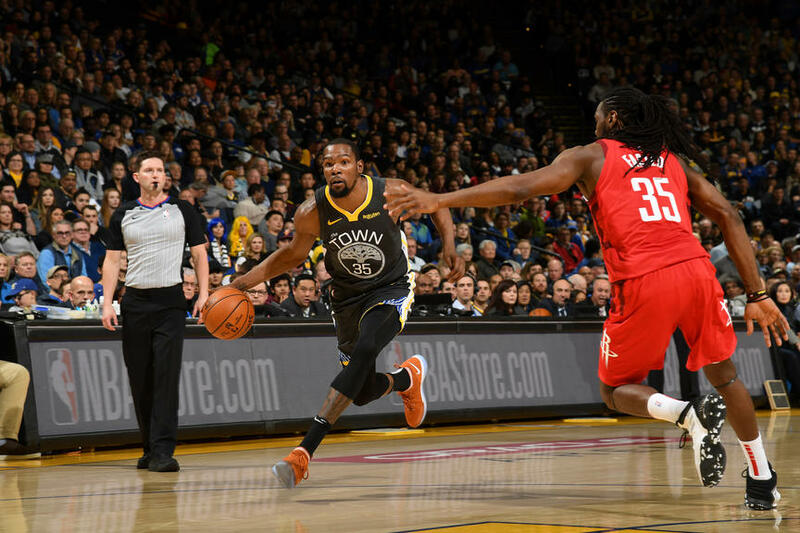 Their general manager, Daryl Morey, summed it up by saying, “…we’re basically obsessed with ‘How do we beat the Warriors?” So that’s fact. They came close in last year’s Western Conference Finals, but an injury to Paul robbed everyone of a Game 7 that would’ve, could’ve, should’ve melted the brains of all who witnessed it. It would’ve been awesome. We could’ve gotten a sneak preview of Avengers: Endgame. Instead, we got Trevor Ariza shooting zero-of-12 from the field. We got one team destined for a back-to-back title and another team who can’t shoot to save their lives. This year, the Warriors are still the favorites to win everything because their starting five is a Team USA five. They can all shoot (and by all, I mean except you, Draymond). They pass the ball well. They defend. They added Cousins. But if there’s one team that can beat them, it could be the Rockets. Still. 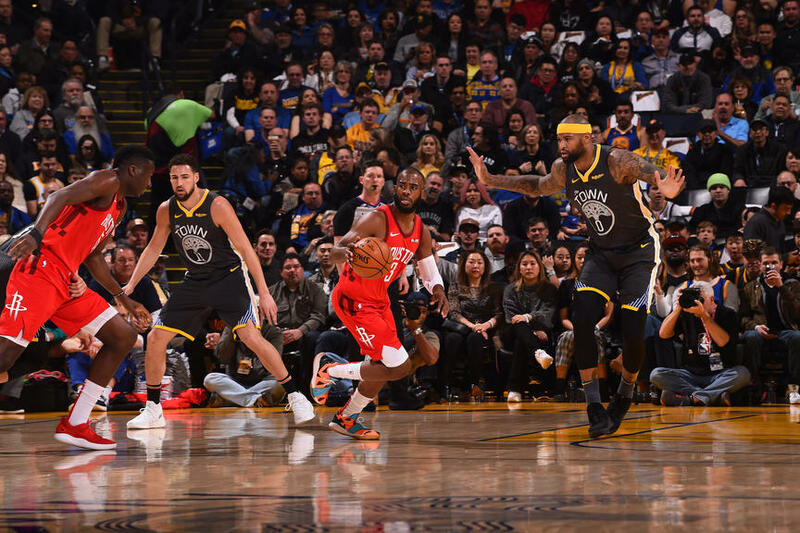 The Rockets may have lost key defensive pieces in Ariza and Luc Mbah a Moute, but they did gain wacky pieces to throw off the Warriors. Iman Shumpert! Kenneth Faried! Austin Rivers! They’re still launching threes at a rate of a tennis ball machine and Chris Paul still has a large chip on his shoulder. James Harden is playing like an MVP. Again. Looking at the season matchup might not give much away. Both teams didn’t play at full strength in all of the four meetings. Plus, it’s the regular season. Come playoffs, when their paths once again converge, all that we know doesn’t matter. It’s about the burden, for Harden, and his chosen path in Houston. It’s about one team obsessed about beating the other. It’s about all those past bitter defeats, and learning how to overcome them. This is the endgame for the Rockets and the Warriors, this is the fight of their lives. And before we all forget, if the Rockets finally beat the Warriors, this could mean a chance at seeing Finals Austin Rivers. Who says no?